I work primarily within the fields of language education, intercultural communication, and intercultural education, aiming to construct theoretical and pedagogical synergies across these areas. I am particularly interested in the theory and practice of intercultural learning within a variety of educational contexts, such as language education, intercultural training programmes, and internationalisation efforts within higher education. 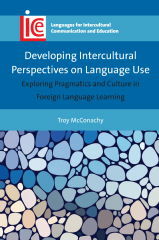 One aspect of my research involves investigating the role of reflection on pragmatics in developing insights into the cultural and intercultural dimensions of learning and using a second language. I typically use content analysis and discourse analysis to look at how learners achieve reflective understandings and develop pragmatic awareness through processes of co-construction. Another aspect of my research involves critiquing problematic discourses on culture and cultural differences within language and intercultural education, particularly in language textbooks. I see language textbooks (and other materials) as an agent of language (and cultural) socialisation, and therefore seek to draw attention to simplistic representations of cultural difference or excessively narrow prescriptions of pragmatic norms. I am also interested in the question of how educators can work creatively with problematic cultural representations to encourage critical engagement amongst learners. Currently, I am also becoming more involved in research on the internationalisation of higher education, particularly issues of classroom participation and the role of internationalisation of the curriculum in promoting intercultural learning. After completing a BA in Japanese language at Griffith University in Australia in 2001, I spent the next 14 years teaching English language, academic skills, and intercultural communication at various language schools, technical colleges, and high-ranking universities in Japan. While I was based in Japan, I also completed an MA in Applied Linguistics (UNE) and a PhD (UniSA), focusing on the development of meta-pragmatic awareness as a form of intercultural learning. I joined the Centre for Applied Linguistics at Warwick in September 2015. I am a Fellow of the Higher Education Academy (HEA) and the Warwick International Higher Education Academy (WIHEA). I am also Editor-in-Chief of the international journal Intercultural Communication Education (ISSN 2209-1041).